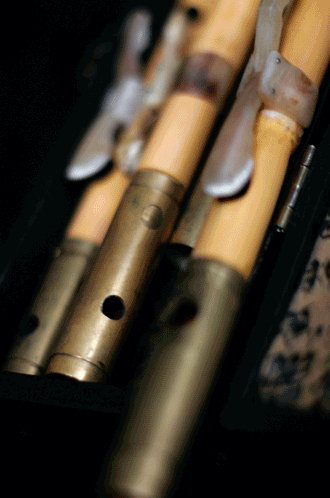 The traditional Persian Ney has five holes in front and one on the back with a range of 2-1/2 octaves. But there is one note missing between the two first octaves. If C3 is considered to be the lowest note, then B3 can be sustained briefly with changing the position and the shape of the tongue and lips and modifying the air pressure on the preceding and succeeding notes. To reproduce B natural we can use the same hole as C and for Bb we can use the hole of A. This limitation has separated the first six lower notes of the Persian Ney and introduces a special timbre in the lower register. These six notes and sometimes the hint to the half a tone lower or higher are mostly played separately by special breathy sound and particular characteristic effects. The inconvenient is that we can not produce the stable and precise note of B, Bb/2 and Bb and we can’t play fast ornamentations called (Tahrir) around these notes in the first and second octaves. Structure of Full Range Persian Ney? 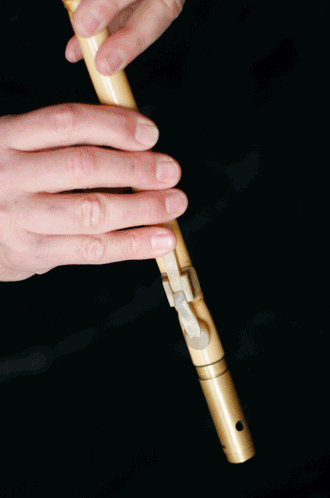 The full rang Neys have extra holes at the ends in order to easily produce the missing note mentioned above. These Neys are each with eight holes on the front These Neys are each with eight holes on the front side and one on the back. 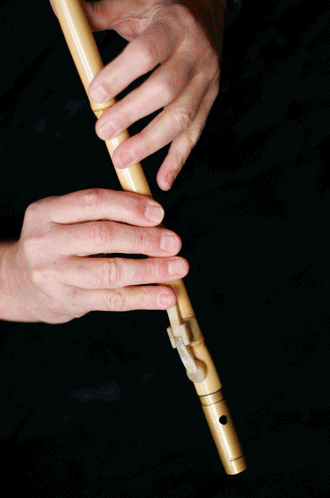 In certain parts of the performance, the lower register can be passed smoothly into the upper register and high register evidently can be linked to the lower register. With these Neys we can play 2-1/2 full octaves.Because of the large surface of the skin and its sensibilities to the humidity, synthetics skins are preferred. 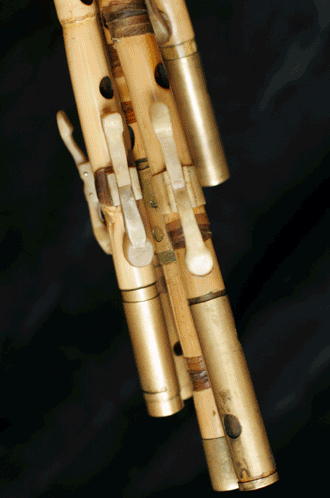 The full range Persian Ney is adjusted using two metallic tubes turned one inside the other, and with the aid of a key made of horn for long Neys. Onshort Neys we don’t need a key, and the little finger can cover the corresponding hole.